Playa Aserradores: Just northeast of Chinandega with powerful and hollow beach breaks. You have other breaks close by that can be reached by land of boat. Poneloya and Las Peñitas: the surfing is not that great but it has the easiest access being less than 30 minutes from León. Playa Huehete: good surfing by the point, beach and rivermouth break. Playa Maderas: this is a very popular surf spot with easy access from San Juan del Sur with slow waves and also challenging waves close by. Popoyo & Colorado Beach (Tola Region): In 2012 Colorado Beach hosted the World Masters Surfing Championship and that is for a good reason. In Tola alone there are 17 “named” surf spots, 10 of which are “top quality.” Within 30 minutes from Popoyo or Colorado beach you can reach all this amazing surf points. Rancho SantaAna: Great resort if you are into surfing. The resort boasts 2,700 acres of rolling hills and two miles of rocky and dramatic shore, broken up by five distinct beaches nestled in their own hideaways. Morgans Rock One of the few (or only) eco-lodges on the pacific beach. If you like nature and the ocean this is the place for you. Motelimar Barcelo: It is an all-inclusive resort, 1 hour drive from Managua, 3 km of white sand beach and the old Somoza Estate are the main reasons why this is a popular destination. Although reviews have been mixed on the value and quality of the place. Redwood Beach Resort : This is a newer resort located 3 hours from Managua and catering to the adventure crowd. The reviews so far has been great. Guacalito de la Isla : It promises will be Nicaragua’s—if not Central America’s—premier beach resort. Check out the website for latest developments. 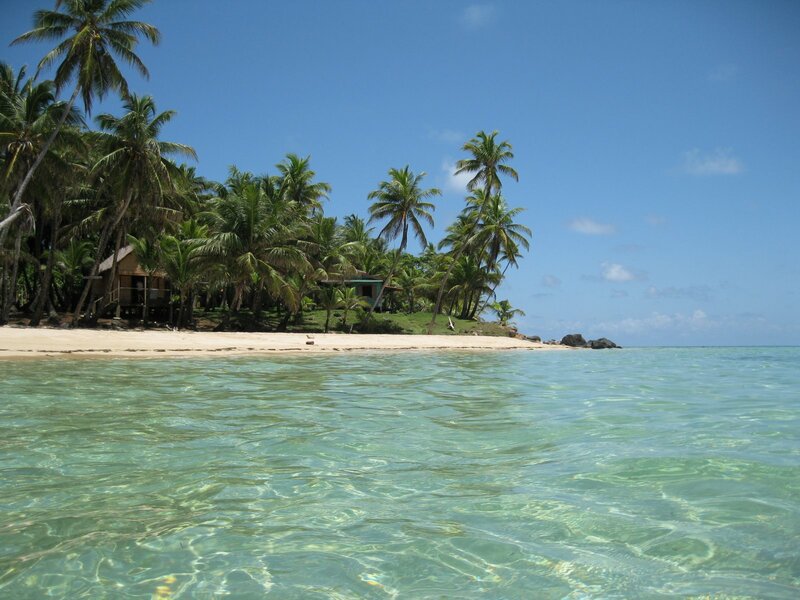 Little corn island: This place is a paradise – simply amazing! Some of the best diving in the Caribbean and you spend time on an island that has remained largely untouched by the big business and tourism. Big Corn island: The Corn Islands are surrounded by a barrier reef system which is a unique underwater ecosystem for snorkeling and scuba diving. Divers see a mix of tropical fish as well as larger offshore species including barracuda, mackerel, jacks, pompano & shark. San Juan del Sur : this is the main party beach in Nicaragua. With plenty of tourists, beach side bars and laid back culture there is always party going on here. During peak holiday season there are major party organized with all inclusive alcohol. The biggest ones are for New Years. Poneloya & Las Penitas : If you are looking for more of a local crowed with some tourists then this two beaches are the best bet. Pochomil : There are lot of parties here taking place in private houses but during the holidays you will find large crowds of local people just having a good time on the beach. A long the coastline : For Easter week and New Years the whole Pacific Coast becomes a big party. Do your research, meet a local and you’ll have an unforgettable time.